Every way has its own supreme god. And they have a concrete belief that their god invented this nature. 5. Ganpatyas worship god Ganesha. Among these five gods, one being worshiped by Shaktas since ages is shakti.Shakti means goddess Mahalaxmi. In & around Kolhapur goddess Mahalaxmi is known as Ambabai. According to Yoga shastra, human body contains the universe in it & is made of seven chakras. The ‘Muladhar Chakra’ has its goddess Mahalaxmi. Ambabai (Mahalaxmi) temple has a rich & glorious history. The construction begun before 12th century & existing temple was built during late 12th century. The maximum construction of this temple is been built by Shilahar King during 12th century. The architecture of the temple is purely Chalukyan & not Dravidian. The Sanskrit inscription on a pillar in the temple of Ganpati to the west of Shri Ambabai temple is dated 1218 A. D. It belongs to the reign of king Tailama of the Devagiri Yadava dynasty. In it he is said to have pleased Mahalaxmi by many presents of jewellery. After the Stone Age begins the paper age; wherein characters from 18 th century onwards are issued on paper and are preserved to the present age. Meaning Skata sect call her Tara, devotees of Lord Shankara call her Gauri, followers of Sankhya philosophy (tatvadnyan) call her Prakruti, students of Veda call her Gayatri and Jain followers call her Padmavati. Today, goddess Mahalaxmi is an epicenter of overall development of Kolhapur and its vicinity. Worshiped by crores of devotees all over the world; huge number of devotees visit Kolhapur to sincerely worship the goddess. It has supported the tourism industry in and around Kolhapur district. For that matter, transportation, lodging, boarding and all other related businesses are being benefited. Located on Mumbai-Chennai; previously a Pune-Bangalore highway Kolhapur nests amazing tourism destinations such as forts, temples, forests, heritage structures & historical monuments. Any tourist intending to visit here may have numerous opportunities of diverse tourism. Guests are heartily welcomed and served here. 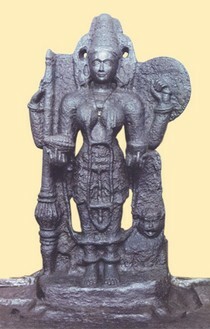 Ambabai; goddess Mahalaxmi of Kolhapur. The goddess of health, wealth, peace & prosperity. We are happy to relaunch one of the most successful website of goddess Mahalaxmi (Ambabai); goddess mahalaxmi of Kolhapur. The credit goes to every visitor whose visit encouraged us to add more & more information. We'll be happy to introduce very authentic information with refrance to ancient manuscripts, traditional writings & numerous religious books etc. Keep visiting, keep forwarding the domain & get blessed. Let everybody know the greatness of goddess Ambabai. Being an ardent lover of Kolhapur; we strongly believe… rather it has been proven that the overall development of this region revolves around Mahalaxmi (Ambabai) temple. As Mahalaxmi (Ambabai) is the supreme power, and Kolhapur is a religious place of great importance; it has been progressing as time changes. 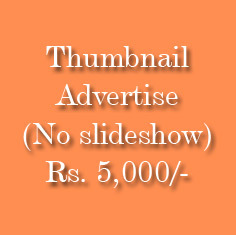 Thousannds of devotees visit Kolhapur and for that matter this all region regularly. The number is increasing day by day. 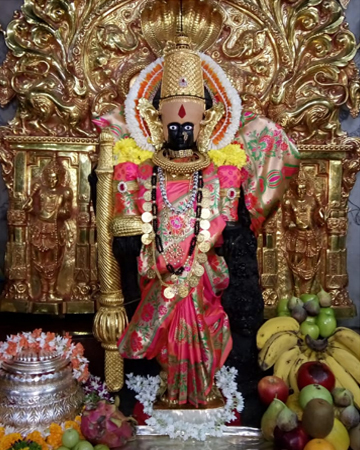 Those who are curious about goddess Mahalaxmi (Ambabai) and Kolhapur as well, this website is an initiative to guide you. Along with it, overall tourism in and around Kolhapur will be published here.